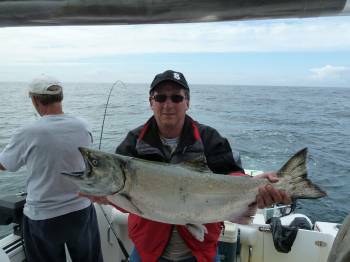 Harry of Langley British Columbia shows his Chinook Salmon landed in Barkley Sound Vancouver Island. line of Barkley Sound. Chinok salmon landed using anchovy. 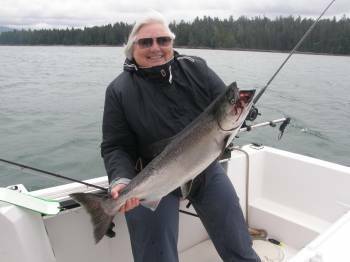 Sockeye fishing in the Alberni Inlet in 2015 was unbelievable. We hope that 2016 will be as good. 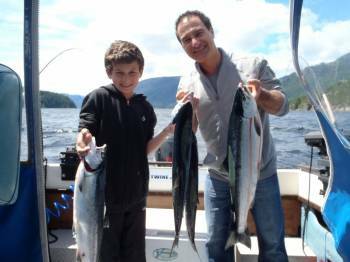 Family from Vancouver fished with Doug of slivers Charters and did well Sockeye fishing in the Alberni Inlet. 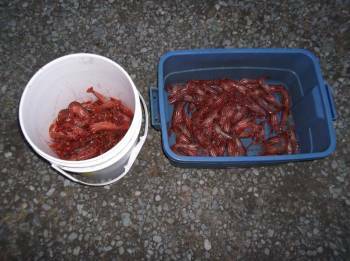 We expect with weather and environment conditions that Sockeye Fishing in the Alberni Inlet should be under way by mid June in 2016.